Stephanie J. Nawyn is an associate professor in the Department of Sociology with expertise in gender and migration, focusing on forced migration and the ways that structural inequalities inhibit immigrant incorporation. Her work has primarily focused on refugee resettlement and the economic advancement of African migrants in the U.S., and the treatment of Syrian refugees in Turkey. 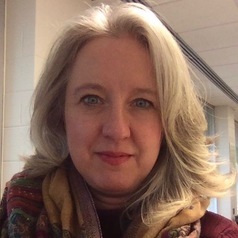 Dr. Nawyn is also the Co-Director of Academic Programs, Outreach, and Engagement at the Center for Gender in Global Context at Michigan State University.